The second most challenging thing most people have to go through once they start using a new advanced DSLR or a mirrorless body with more manual controls is to get tack sharp images. The first challenge probably would be to just expose the image properly so as not to make it too bright or too dark. There simply seems to be a gazillion buttons on the camera none telling you which one to turn which way to make your blurry images sharp again. Don’t worry anymore; I am here to help. By employing a simple technique called the ‘Reciprocal Rule’ you will be able to get pin sharp images once again. And, it’s really simple. The rule is a simple suggestion about the shutter speed that should be used in conjunction with a lens of a particular focal length so as to avoid camera shake. The reciprocal rule states that the shutter speed of a camera should be such that it is at least the value of the reciprocal of the effective focal length of the lens. Don’t freak out as yet. This is much simpler than you think. Let me give you an example to put things in perspective. Let us say that you have a kit lens which has a focal length of 18-55mm. All the rule is asking you to do is use a shutter speed of 1/18th of a second when shooting, using no zoom on the lens (18mm) and similarly use 1/55th of a second shutter speed when you zoom the lens out (55mm). Just use the shutter speed 1/X of a second, where X is the focal length you chose to use. So if you have a 50mm f/1.8, Nifty Fifty prime lens (a fantastic lens by the way), when using the lens you should use a shutter speed of at least 1/50th of a second. There are a few fine subtle details that you may have missed in the segment above. Let me give you a better look at them. 35mm film format is treated as the standard format in photography. Any format larger than it is called either a Medium or Larger Format, and anything smaller is called a Crop Format. Without going into much details about sensor size in this article (which is a loooong discussion), just know for now that Medium and Larger Format cameras have larger sensors as compared to 35mm cameras and similarly Cropped Format cameras have relatively smaller sensors. You probably own either a Full Frame (35mm) or a Cropped Format camera. Any lens that you put on a Full Frame camera has an effective focal length equal to what is written on the lens. So like the example above, if you use a 50mm lens on a Full Frame camera, you will have an effective focal length of 50mm. A 18-55mm lens has an effective focal length of 18-55mm. Effective Focal Length = Focal Length Of the Lens X Crop Factor (also called magnification ratio). Nearly all Nikon Cropped Format cameras like the D7xxx, D5xxx, the D3xxx series cameras, have a crop factor of 1.5. So what is the effective focal length of the 50mm lens on a Cropped Format camera? Effective focal length = 50mm X 1.5 = 75mm. That is all you need to understand. Just multiply the focal length written on the lens with your camera’s crop factor. To find the crop factor of your particular camera, just perform a quick google search. 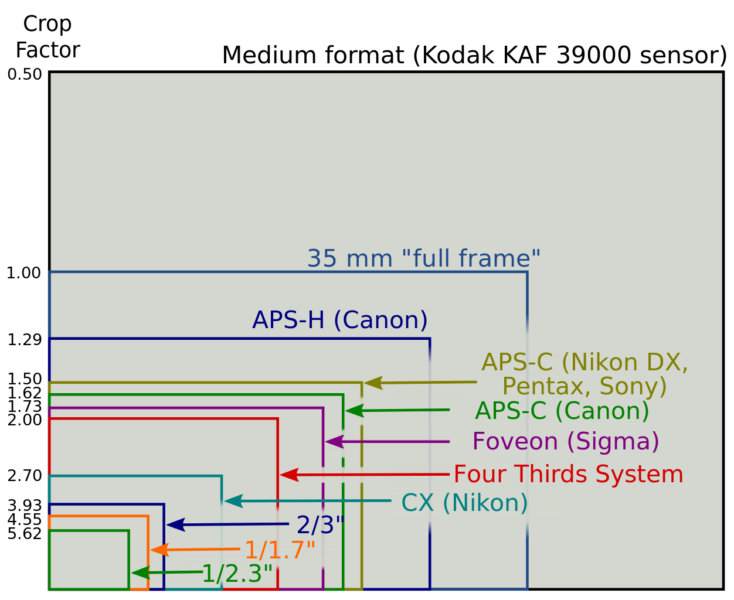 Most Nikon and Canons APS-C sensor (the name of Cropped Format sensor) cameras have 1.5 and 1.6, magnification ratio (crop factor) respectively. In case you are wondering, the Full Frame cameras also have a magnification or crop factor of one (1). As you all know, any number multiplied by one, is the number itself. So a 50mm lens on a Full Frame camera will be equal to, 50mm X 1 = 50mm. All lenses are marked with the effective focal length as on a Full Frame camera. If you use the lens with a camera with a different sensor size (other than a Full Frame camera), you will have to do some calculations to know to actual focal length. The reciprocal rule only suggests the minimum shutter speed that you should use when using a lens of a particular focal length. For a 50mm lens, the minimum shutter speed it prescribes is 1/50th of a second. You can always use any shutter speed faster than 1/50th of second, such as 1/100th of a second or even 1/1000 of a second. Just to reiterate, the shutter speed of 1/50th of a second, that the reciprocal rule suggests is for a Full Frame camera. For a cropped format camera, the calculations will be a little different since the effective focal length changes. For example for a Nikon APS-C camera attached to a 50mm lens, the minimum shutter speed, as per the reciprocal rule, is 1/75th of a second. If you don’t understand why, please re-read the Effective Focal Length section above. Reciprocity in mathematics is used to formulate an inverse relationship between two variables. Basically predicting the decrease in the magnitude of one variable as the magnitude of the other variable rises and vice-versa. In our case in too, the reciprocal rule uses the same inverse concept to connect focal length and shutter speed. The reason for mapping a faster shutter speed with a longer focal length is to offset the camera shake it may inadvertently introduce in the image. To understand this, look at the image below. As you can see, the same amount of movement of the camera causes a greater amount of movement as the distance from the source (camera in our case) increases. At just 1 meter away from the camera the movement isn’t amplified much but at 20 meters away, a slight movement of the camera is enough to cover the entire field. Now, think of the movement of the camera as non-intentional, cameras shake and you would understand why a longer focal length poses a greater risk of blurriness. The inverse or reciprocal rule is just a measure to offset this increased risk by using a faster shutter speed. Having already discussed the reciprocal rule, I want you to treat it only as a guideline or starting point. It is just a simple way of figuring out the shutter speed you would require to avoid camera shake and unintentionally introducing blur in the images. In no way, shape, or form is the reciprocal rule absolute. Selecting a shutter speed which is the reciprocal of the effective focal length of the lens you are using does NOT guarantee sharp blur-free images in ALL situations. It is only effective most of the time in most of the cases. There are however many exceptions where this rule wouldn’t work. If the subject you are trying to photograph is too fast for the shutter speed you are using, the images will contain a substantial amount of motion blur in it. Let’s say that after learning about the reciprocal rule, you decide to use a shutter speed of 1/75th of a second with your 50mm lens on a cropped format body. 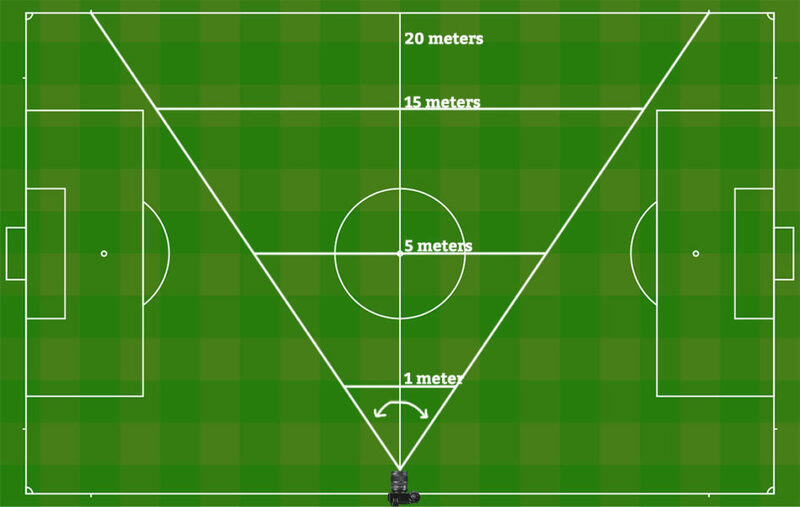 And you want to shoot a person running a 100-meter sprint. Do you think you will round up with some crisp sharp images? 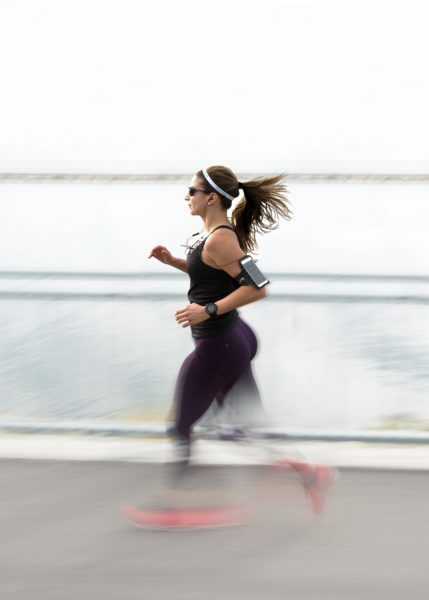 The subjects, in this case, a woman running, will require a much faster shutter speed than 1/50th is capable of freezing. Like I said before, the reciprocal rule is only effective most of the time in most of the cases. Had the same person been sitting on a park bench or something (basically not moving much), the advice of the reciprocal rule of using 1/75th of a second shutter speed would have been fine. Here, you would at least require a shutter speed of 1/1000th of a second to have even a remote chance of a sharp image. Where did you get the 1/1000th of a second shutter speed from? Well, it’s from experience. You will also have it soon enough. In the same sense, had you had two racing cars as your subject even 1/1000th of a second wouldn’t be enough? You get my point now? It all depends on the subject you are trying to photograph. Faster the subject moves, faster the shutter speed you require to freeze the motion. Well, that is unless you want to intentionally introduce motion blur into the images and use it creatively to show movement. You can do it using a very popular technique called Panning. The prescription of the reciprocal rule falls apart when a wide angle lens is used. For any lens wider than 50mm, the reciprocal rule is a little dangerous to follow. For instance, it is not advisable at all to use a shutter speed of 1/35th of a second with a 35mm lens on a Full Frame camera. The shutter speed is simply too low to freeze, even normal movements such as people walking or cars on a road. In the beginning, I did give you an example of an 18-55mm kit lens and also asked you to use a shutter speed of 1/18th of a second when using a focal length of 18mm (no zoom); but using it would be extremely prone to camera shake or motion blur or both. The reciprocal rule is also a little inaccurate when stretched to the other end of the spectrum. The presence of image stabilization on the lens or the camera body sometimes makes the camera extremely stable and facilitates the use of shutter speed far slower than the usual recommendation of the reciprocal rule, safely. 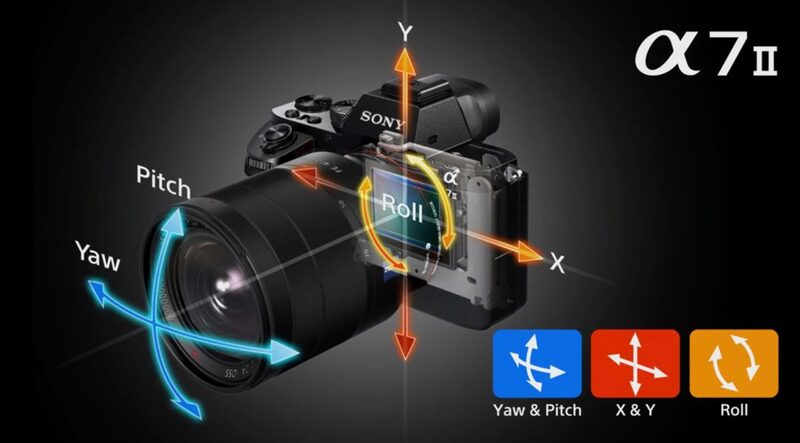 Image stabilization (IS), vibration reduction, sensor stabilization are all some forms of stabilization offered by manufacturers, either on the camera body itself or on the lens or both. There is no uniform standard to measure them. Some are just better than the others. Depending on which camera and lens duo you use, it is always going to be a little different. One thing that is extremely important to remember is that the reciprocal rule is only a guideline which proposes the use of a minimum shutter speed with a particular focal length to avoid blur caused due to camera shake when taking images handheld. Understand this part very clearly. Using the specified shutter speed will only eliminate blur caused due to camera shake, generally caused when shooting handheld. There are many many reasons such as subject motion, inaccurate focus, etc. which may also cause blur. Using the rule will not help at all if the blur is caused by any such reasons. It has been observed that shooting handheld ALWAYS causes some amount of camera shake. For some photographers more than the others. Increasing the shutter speed only minimizes the amount of shake that is actually visible on the screen. 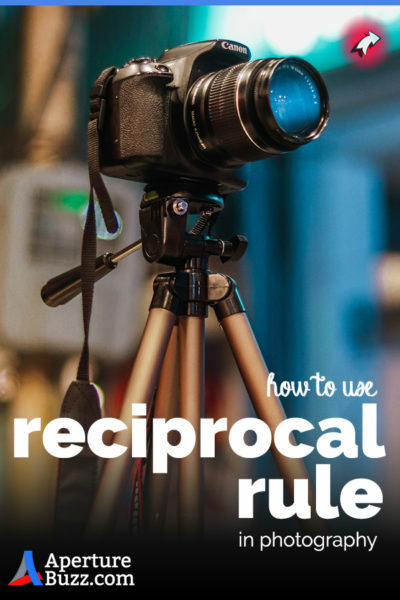 The reciprocal rule acts just as an insurance to avoid the most common cases of camera shake. Again, it isn’t absolute. You may have to fine-tune your shutter depending on many other external factors. When using a tripod there is absolutely NO possibility of any camera shake. Well, unless you are standing on the epicenter of an earthquake or if the tripod is swinging hard due to some heavy wind. Hence for obvious reasons, there is NO need to follow the rule here. You can use any shutter speed you like. Read An Introduction To Long Exposure Photography if you are interested to learn more about this. If you are new to photography and are struggling to get sharp images, the reciprocal rule could actually help a lot. But think of it more as a guideline or general suggestion rather than a rule that you have to religiously adhere to. Start with the recommended shutter speed and then take some test shots and make adjustments accordingly. I am pretty sure very soon you will have a very sound understanding of shutter speed, subject motion, etc. and will simply outgrow the need to use the reciprocal rule at all. Use it just for the initial stages until you get the hang of it and are able to come up with the camera settings intuitively without any external help. If you are too unsure about how to consistently stick to a particular minimum shutter speed, you may use the Auto ISO feature of your camera for a little added help. Read about it here Auto ISO | Everything You Need To Know. There are NO rules in photography. Always remember that.